I purchased one four-ounce package of L.J. 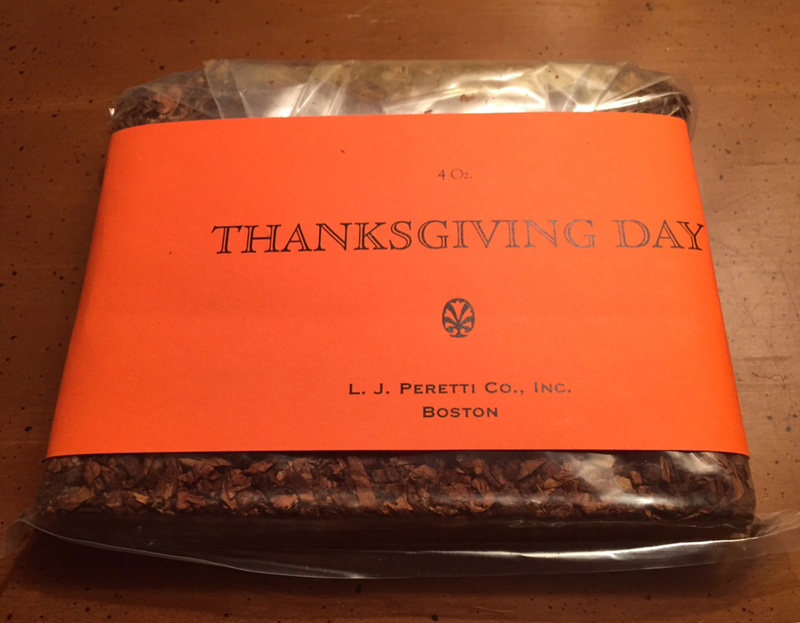 Peretti's Thanksgiving Day tobacco for my own enjoyment, and I purchased another package for MrsCoco's grandfather, who is also a pipe smoker. I'm pretty excited about this one. 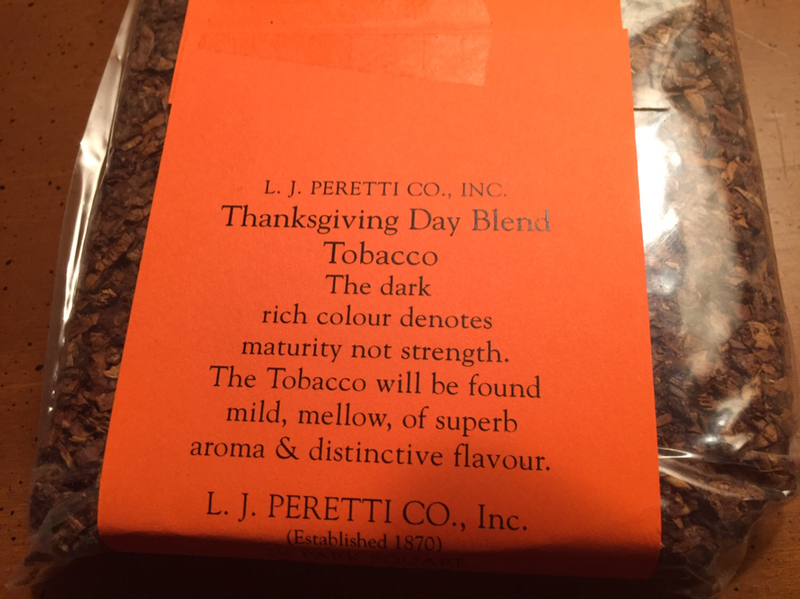 That’s tempting, I’d like to try a thanksgiving blend. Thanksgiving blend... cased in turkey giblet gravy? 8 ounces of bulk Sutliff Red Virginia. Some say it is along the lines of McCl 5100 Red Cake. I'm going to use it to carefully break in JoeGoat's new pipe & hope that it helps build some cake maybe a little faster than some blends. Interested to know what you think of these two once you have tried them. PKG received today. The JOSN tin is dated 10/17/18, so it was tinned less than 4 weeks ago. After one bowl I can say I like it, although it's still more moist than I prefer. The tin note, and the smoke, is very rich and sweet, and as a whole actually reminds me of the old cherry blend that my dad smoked when I was a kid. I'll let it dry out a bit before I try the next bowl. 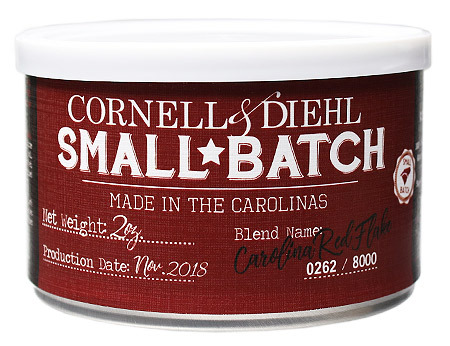 4 tins of C&D Carolina Red Flake. 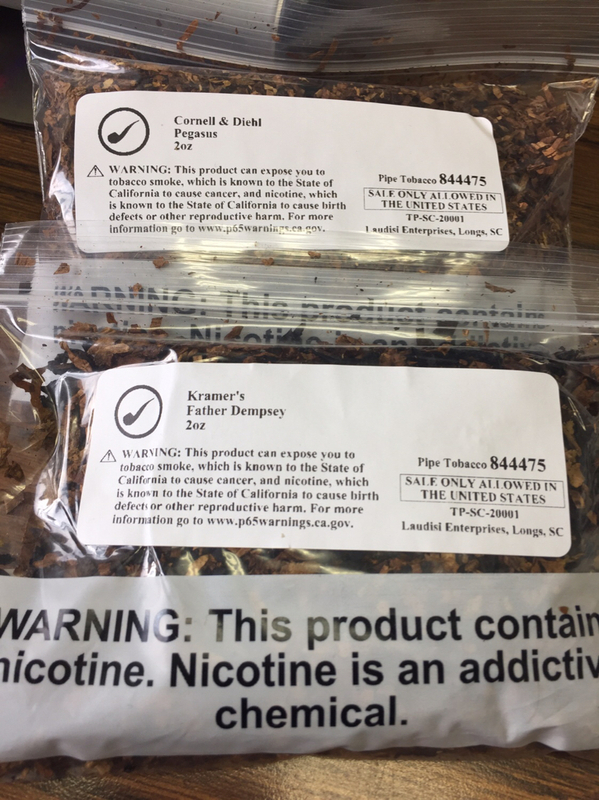 SmokingPipes has it in stock. EDIT: Make that 5 tins. This looks good and the few TR.com reviews are stellar. I just added a tin to my SPs order. Thanks, Adam! 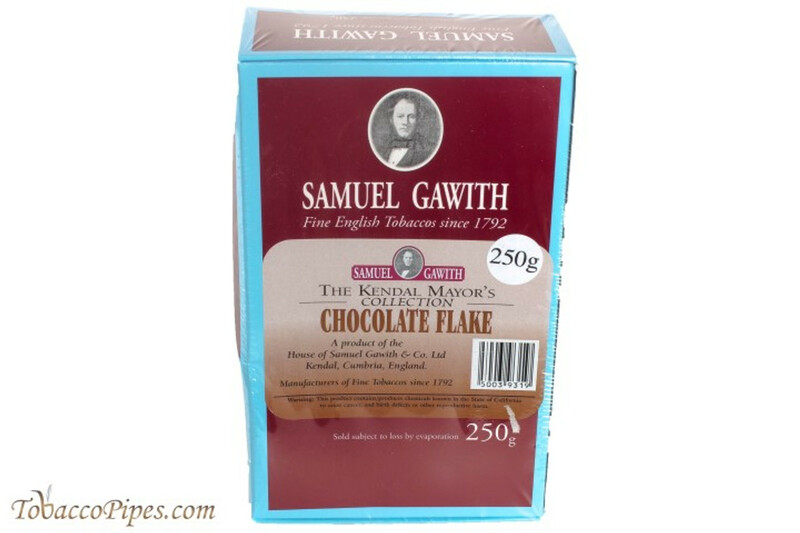 I'm smoking one of the 6 tins of Samuel Gawith: Mayor's Chocolate Flake 50g I got last week and it is so very very good, I purchased another 10 tins. I am glad I discovered Smoking Pipes has this in stock as all other places I've checked are completely out of all SG & GH blends. It's truly wonderful. Taste's like I'm smoking a chocolate milkshake. Far, far better than GH's Bob's Chocolate Flake. Hmm, maybe it is time to re-order some Father Dempsey, good stuff. 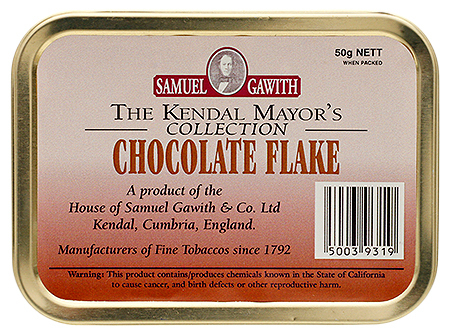 A tin of Chocolate Flake. Should last me for quite a while. "A dog is the only thing that loves you more than he loves himself"
Tobacco Pipes is on the beam. When this order arrived, it was three 50g tins instead of the three 250g boxes I had paid for. In 2 minutes I received a reply saying to keep the three tins as a gift and that they would ship the 3 boxes today. Wow. Very cool how they handled that.